Several weeks turned into six months and there are still no updates about when we can expect the website, which the Environmental Protection Agency provides the IT for, to return to its previous usability. The Information Security Oversight Office, which oversees the government-wide security classification system, celebrated its 40th anniversary today and asked how to fix declassification at an event in DC. The National Security Archive’s Director Tom Blanton gave the keynote address, which was followed by a panel discussion with four former ISOO directors as they shared their perspective on how the agency should evolve as the government’s work becomes increasingly digital. An idea embraced by Blanton and several others is to empower the National Declassification Center to take control of historic documents that are 25-years-old or older, rather than letting agencies drag their feet and conducting costly reviews of the documents. A public records request revealed that the Washington D.C. area- transit authority, Metro, “was willing to work with the organizer of a white supremacist rally in Washington this summer to provide special accommodations for his group.” The emails contradict Metro’s earlier position that it did not try to facilitate travel for the hate group. News leaked that Metro could provide a special train for Kessler and his group, and Metro faced outrage from elected officials, the public, and Metro’s labor union. Metro then shifted its posture and said that the idea of special accommodations for rally-goers was “a joint law enforcement operation with a unified command” and that the D.C. metropolitan police were the lead agency – an account the police denied. Metro initially denied the records request, citing the security of Metro operations and the safety of customers and employees, but an appeal won the release of the information. Department of Veterans Affairs’ emails obtained through FOIA by American Oversight and shared with the Washington Post show that a top White House appointee “sought to silence the agency’s chief diversity officer, who — in the aftermath of last year’s racially charged violence in Charlottesville — pushed for a forceful condemnation that was at odds with President Trump’s response.” The White House appointee, John Ullyot, initially told the diversity specialist, Georgia Coffey, to drop the idea of sending a statement to agency employees and the public strongly condemning the white supremacist rally. (Unconfirmed reports allege Ullyot was following a White House directive not to draw attention to the events or President Trump’s “all sides” comment.) Ullyot said an email was unnecessary because the VA secretary had already made a similar statement earlier in the week – although he also said “we should all feel free to share our own personal views on the recent events.” Coffey eventually decided to post the comments, signed in her own name, to the diversity office website. VA officials removed the post and reprimanded her, and she retired shortly after. 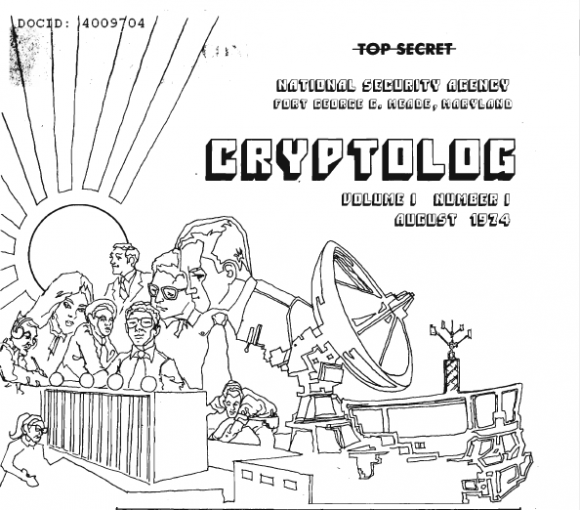 Five years ago, the National Security Agency released 136 issues of its internal Cryptolog periodical spanning 1974 through 1997. The collection offers a look into the some of the discussions being held within one of America’s most secretive intelligence agencies and also serves as a vehicle for organizational reflection. Conflict between linguists and cryptanalysts over promotions and pay scales rages in the pages of Cryptolog for two years, and a four-part series on the agency’s intern program was published in 1974. The National Security Archive is now providing a complete index of all 1,504 items in the declassified collection, including but not limited to articles, interviews, and puzzles. In 2001 the Archive posted newly declassified documents showing that Secretary of State Henry Kissinger and President Gerald Ford gave the green light to Indonesia’s 1975 invasion of East Timor, the beginning of a 24-year occupation in which more than 100,000 Timorese died.